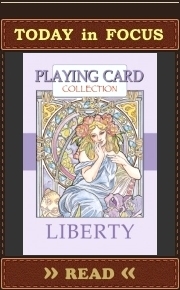 The cards are planned to be printed by Make Playing Cards. This deck is a realization of her childhood fantasies about own deck of playing cards. So, it is symbolical that her art style proposes such a childlike visualization of significant. Mature artist tries to see them through the eyes of a little girl full of natural naivety, curiosity, and endless trust in good. All ladies are princesses, boys are their princes, and animals are their friends endowed with reason and speech. Eny decided to summarize various stories and their characters in one deck of playing cards… her deck of playing cards. All such stories and characters are parts of different cultures (in the broadest sense) from all over the world. Thus, all playing cards have some religious, folklore or mythological background. Each image was painted on a 5″ x 7″ canvas in a mixture of media and then photographed and altered in Photoshop to add borders and card indices. This deck isn’t intended for hard poker nights or unbelievable card tricks and routines. It’s a completely different planet. It’s about our desire to rethink fixed notions from different angles, experiment with different perceptions of the world. Playing card format is just a relative system of axes in this particular case. Some additional variations of this deck are available as stretch goals – see and read below. Will be printed by Make Playing Cards. You can try to find these playing cards HERE. Find Eny’s collection of stories about featured characters HERE. 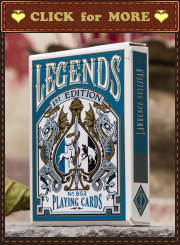 Eny invented some decks as stretch goals. She promises that these decks will only be produced once. There will be two categories of OOAK deck: a) theme chosen by the artist; b) theme chosen by a backer. Only the court cards will have full paintings. 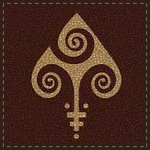 The pip cards of OOAK decks will be made to match the cards.